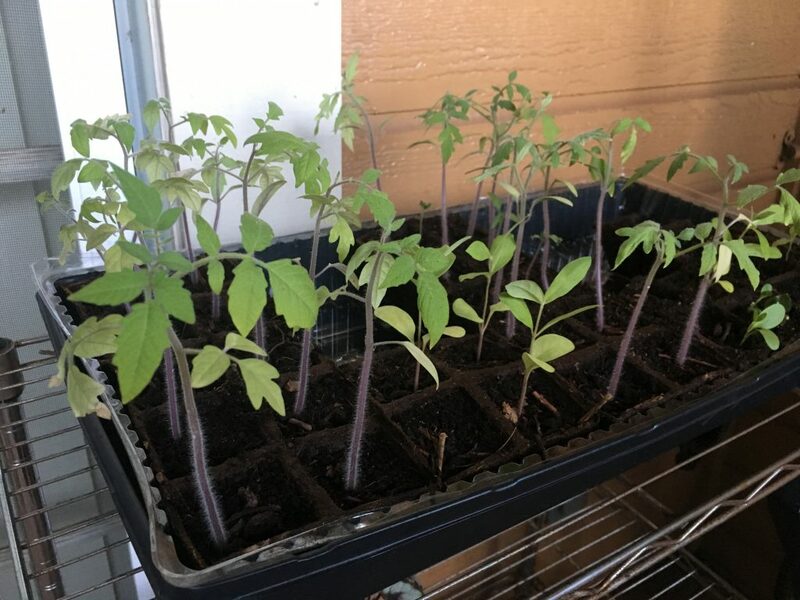 I started some tomato seeds seven weeks ago. The plants are big now, and ready to be planted. But I didn’t think this through. I don’t have full sun on my lanai. Should I try to grow tomatoes there anyway? Should I take a pot to school and grow the tomatoes there? I could maybe plant them in the ground somewhere at school, but they’d need to be watered. Would I carry water to them, or would they just wither and die? Whatever I do, I’ll have to decide soon. These tomato seedlings won’t last long like this. Can you rig up a series of mirrors on your lanai to direct the sun at the plants? If nothing else, it will have a very space-genius vibe. Also, I don’t like that you live in a place that causes me to spell-check so many words. ‘Lanai’. Pfffft. You’ve got a heap of tomato plants for just you, sir. (Do I see 32 pots in that flat?!) If those all mature and produce like our Maxine did (you’ve heard of our three plants this summer, right? Maxine…Laverne………and Shirley. Anyway…), you’ll be making stewed tomatoes, salsa, canned tomatoes, tomato paste (why do I sound like Bubba Gump now? ), spaghetti sauce, Capresi sandwiches and salads, yadda yadda yadda for some time. As for the lack of sun, Id advise against the mirror idea unless you have no fear of igniting a fire on the lanei…er…lanai…uh…porch.